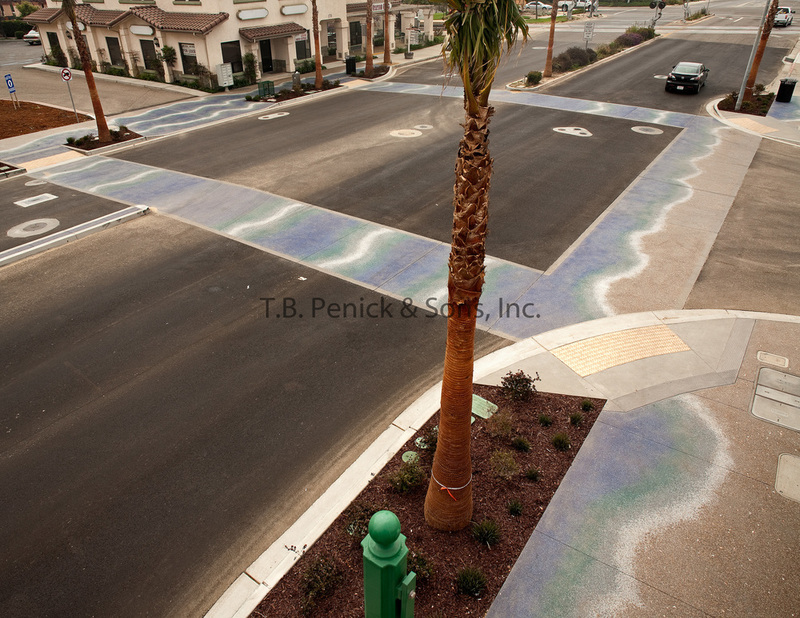 The City of Grover beach recently completed enhancements to the West Grand Avenue area. This exciting infrastructure project provides a focal point entry into the community and creates a visual and pedestrian connection between the future Grover Beach Lodge and Conference Center and the east side of Highway 1. It distinctly defines Grover Beach as a coastal community to visitors accessing the State beach and dunes at West Grand Avenue, as well as those traveling on Amtrak passenger rail service. Enhancements include pedestrian friendly decorative sidewalks and crosswalks, new landscaping, decorative street lights and benches. The enhancements were done to increase pedestrian traffic and to attract tourists to the area, revitalizing the West Grand entrance. “I expect sales to go up from here on out and look forward to more shop owners moving to this area,” said Amanda Powers, owner and designer at Shell Beach Floral Design. The project not only sets precedence for future streetscape along West Grand Avenue, but will also develop a “brand image” improving the public realm and gathering places for the community, businesses and visitors for the City of Grover Beach. While there are many attractive elements to the project, a defining feature is the architectural concrete paving being used for the sidewalks and crosswalks. The new look was inspired by Grover Beach’s beautiful beaches and sand dunes. 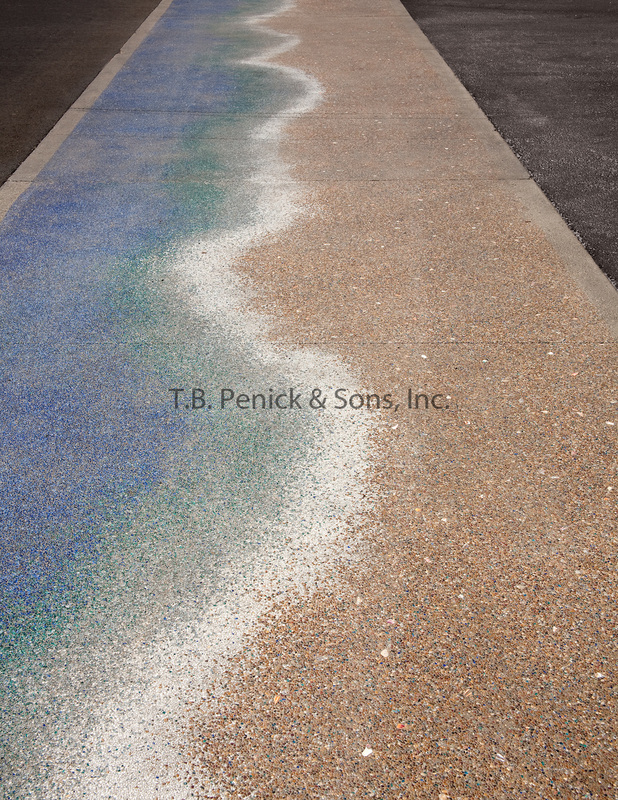 Sidewalks and crosswalks were made to look like waves lapping onto the beach, making the walk down Grand Avenue a unique experience. 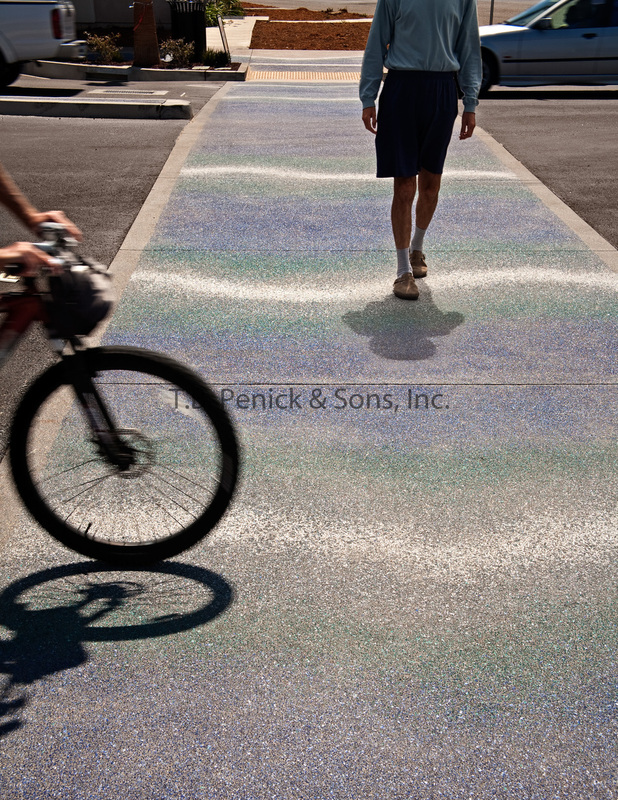 The Lithocrete paving combines concrete with recycled glass, seashells, and beach pebbles to create a unique hardscape unlike any other on the Central Coast. 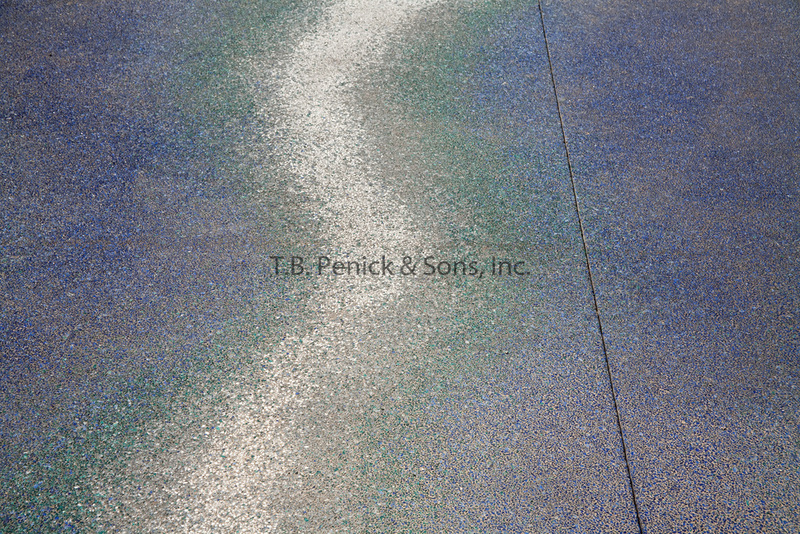 This unique paving can be observed from the windows of the existing businesses located in the area. “The new Beach Walk will be a beautiful welcoming to the city’s beach as well as downtown areas. The Beach Walk will allow locals and tourists to leisurely stroll along the ‘beach shoreline’ and enjoy shopping and dining,” said Mayor John Shoals.